Hakim Isler was born and raised in New Jersey. He now resides in North Carolina, where he stayed after his honorable exit from the US Army. He became interested in outdoor survival in 1999 when he moved to Ohio in his early 20s to study To-Shin Do Ninjutsu (Modern Ninja Self Defense) under first American Ninja Stephen K. Hayes. He learned many skills during his Ninja Training, and now holds a 4th degree Black Belt in To-Shin Do Ninjutsu. Hakim continued to gain knowledge of the outdoors during his survival and evasion training as a member of the Army Special Operations Forces. Upon exiting the military, he maintained his interest in outdoor survival and went on to train with his ninja peers at Quest Tactical Solutions, where he is an assistant instructor. Hakim's personal mission is to educate all who want to learn, but especially minorities in wilderness and urban survival. After the devastating storms of hurricane Katrina and Sandy, both of which affected Hakim's family, Hakim realized that the Americans living in these areas found themselves grossly unprepared and uneducated in self-reliance skills. This reinforced his quest to become better at self-reliance and improve his survival skills. Outreach and education in self-reliance and empowerment are Hakim's goals in life. 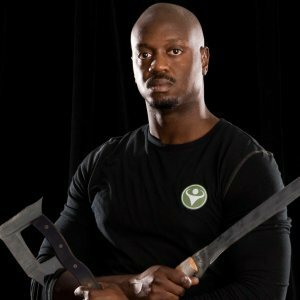 In addition to training in outdoor skills, Hakim is the owner and operator of Elevo Dynamics, a 24-hour family gym and martial arts facility in downtown Fayetteville, North Carolina. This facility houses the first ever Dojym (doh-gym), a martial art and gym hybrid that was architecturally designed to combine both concepts into one entity. At the Dojym, Hakim teaches To-Shin Do Ninjutsu (Ninja Self-Defense), Pressure Point (a functional cardio kickboxing class that he designed), and Combat Kali (a stick and knife fighting martial arts). Here his focus is empowering the family and helping to build a healthy and powerful community. Hakim is also a published author of Modern Hand to Hand Combat, a book about using the ancient armored combat principles of the Samurai for the foundation of the modern armored warrior (soldier, law enforcement, etc.) close quarter combat methods. On top of that, he is working on a new soon-to-be-released book titled Indigenous.